Remember the above super hit song from ace comedian Mehmood’s hit film KUNWARA BAAP (1975) that featured for the first time original transgender community members singing the song alongside the legendary singer Mohd. Rafi. After 40 years once again a film production house has taken the initiative to give a larger platform to the transgender community, popularly known as Hijra in India, and promote their singing talent. It is a known fact that the transgender community is blessed with the art of singing and makes a living by singing since the past many centuries in India. However it is a tragedy they have always been an ignored community and looked down upon by the society. 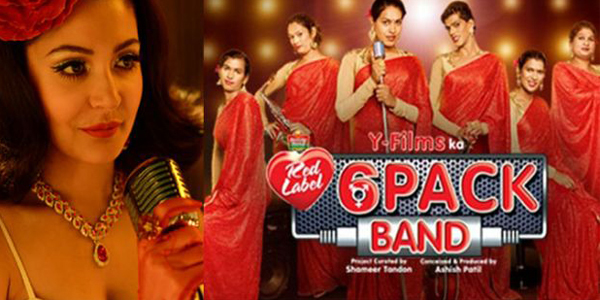 However Y-Films, the youth wing of Yash Raj Films has broken the chains of the disparity and to give a boost to the singing genius of transgender community they have launched a new fusion band called '6 pack' which is India's first transgender band. The band has six musicians from the transgender community. Curated by composer Shameer Tandon, the band has made its debut with the song Hum hain happy… along with its music video. 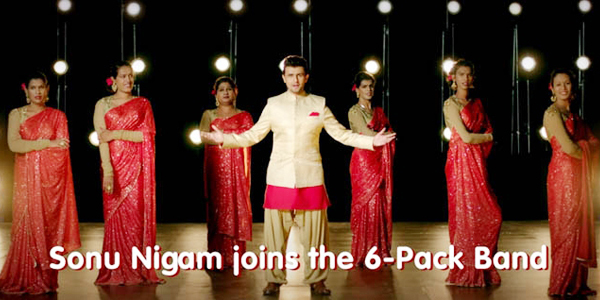 It was launched with much fanfare by eminent singer Sonu Nigam. The music video is introduced by none other but the popular actress Anushka Sharma, who believes that all living being are same and must be treated with the same respect and dignity.